Water is the primary medium through which climate change influences Earth’s ecosystem and thus the livelihood and well-being of societies. Higher temperatures and changes in extreme weather conditions are projected to affect availability and distribution of rainfall, snowmelt, river flows and groundwater, and further deteriorate water quality. The poor, who are the most vulnerable, are likely to be adversely affected. 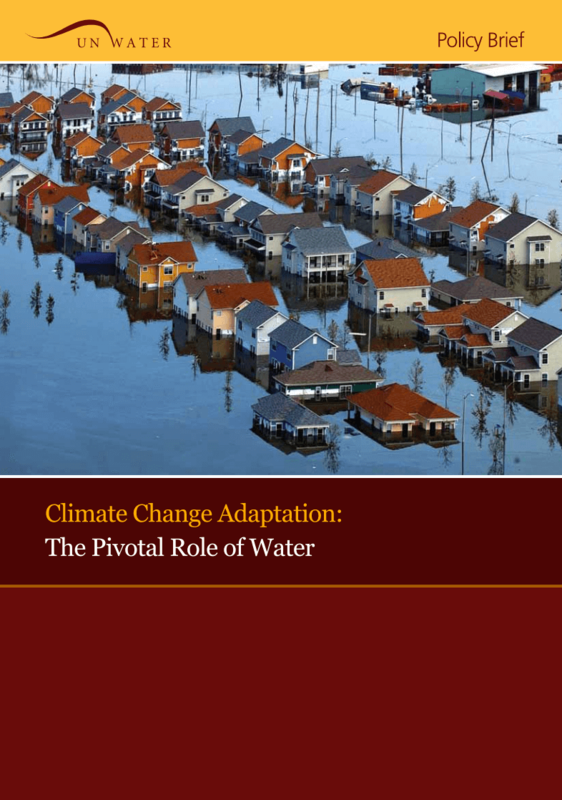 Responding to the challenges of climate change impacts on water resources requires adaptation strategies at the local, regional, national and global levels. Countries are being urged to improve and consolidate their water resources management systems and to identify and implement “no regrets” strategies, which have positive development outcomes that are resilient to climate change.